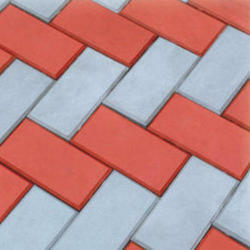 Pioneers in the industry, we offer interlocking paver tiles from India. Trang Bricks Private Limited has established itself as a recognized Manufacturer Interlocking Paver Tiles. The entire range of products is developed with utmost precision by using superior quality raw materials and progressive manufacturing techniques. Besides, timely delivery of the material is ensured. We as a team, have been able to build a niche for ourselves in the precast concrete manufacturing industry, achieving consistent growth and ensuring the maximization of client satisfaction levels. Our products are high in demand due to their premium quality, different patterns, and affordable prices. The products we offer are designed with precision by our specialized team of experts, who are well aware of the techniques of production as well as the preferences of customers.